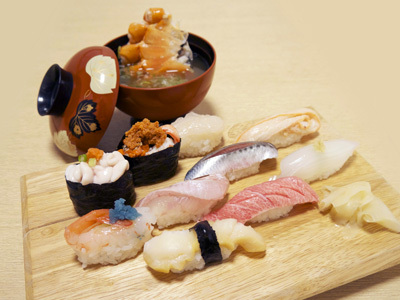 Enjoy all kinds of flavors here, from seasonal fresh fish from Toyama Bay to rare toppings sourced directly from the production areas. From a kotatsu-style recessed dining table for a few people, to large rooms for banquets, this shop can accommodate you for any occasion. Come try authentic Edo-style sushi developed by traditional techniques!